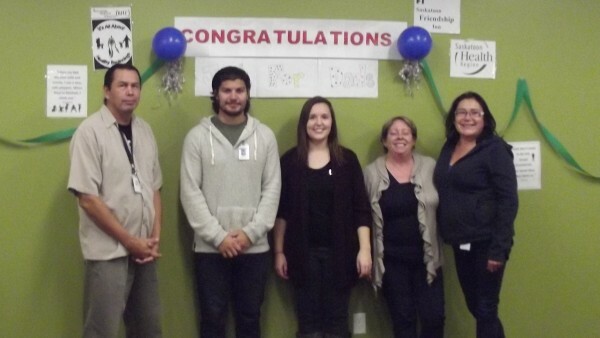 Partnering with the Saskatoon Health Region, the Friendship Inn was once again able to host a Nobody’s Perfect “Just 4 Dad’s” Parenting program. 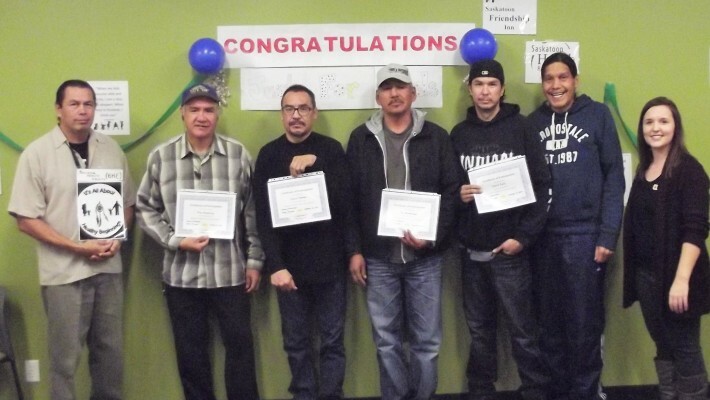 We are so proud of these five men for attending this 6 week course, where once a week they were able to come together to speak about their experiences as fathers. The men also had the opportunity to learn about child development, safety in the home, nutrition, mental health, and self-care. Congratulations to our Fall 2015 Just 4 Dad’s graduates! We were so pleased to have partnered with Mental Health and Addictions Services, who sent outreach workers Linda Atkinson and Carol Ninine to present on Challenging Behaviours at our Just 4 Dad’s group! Thank you! Our next Just 4 Dad’s group starts on January 19, 2016.